QR Codes were first introduced as this black-and-white square image containing blocks of data. For marketers, QR Codes were dull and a mismatch with the branding creatives of promotional material. Also, there was only so much you could do with them—show text, redirect to a website, or download a Vcard. But by 2018, QR Codes have radically been upgraded. It is now possible to make them visually aesthetic and also redirect users to take a number of desired actions—all by using images. Unlike barcodes, it is now possible to design QR Codes using an online QR Code designing tool (such as Scanova). We can add colors, patterns, and of course images. 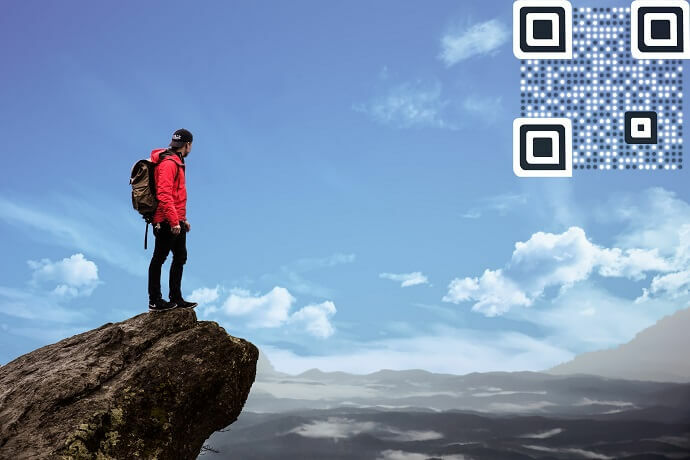 It is possible to superimpose a semi-transparent QR Code on top of a background image. This background image can be a promotional creative (poster, banner, tent card, etc.). You also have the option to edit the size and position of the QR Code on the background image. The resolution of the combination will be the resolution of the image you have uploaded. This design merges the QR Code with the background image, making the QR Code a part of the image and not a mismatch. This design is a great way to let your customers know that the QR Code is a point of engagement and not a ‘barcode probably for official use’. To learn more about how to create this design using Scanova, see QR Code Generator with Logo: Personalize your QR Codes. The other way to design a QR Code using an image is to add the image in the centre of the QR Code. In most cases, the image is your brand logo. It is also possible to add colors and patterns to the other elements of the QR Code. This design converts the dull black-and-white QR Code into a brand-personalized QR Code. 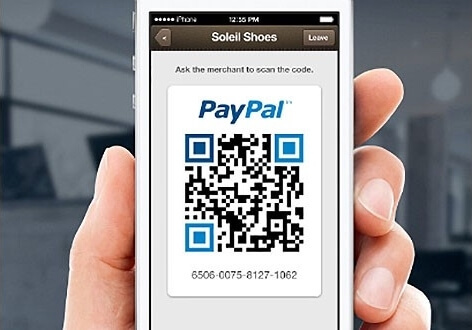 For example, if you using this QR Code for a mass market application (say QR Code payments), your customers can quickly recognize the branded QR Code amongst many other options. 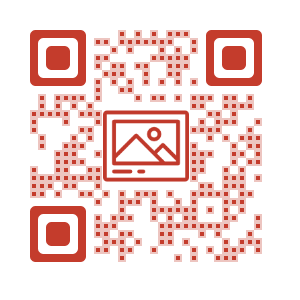 The other way of using QR Code images is to add an image as content of the QR Code. This means that when a QR Code is scanned, the image will be displayed on the scanning device. An image of a product, like a first-time disclosure of a fashion item, electronic, automobile, etc. In 2011, Victoria Secret ran a QR Code campaign Sexier than Skin using large banners and posters. This promotional material showed models with QR Codes images. When scanned, the QR Codes revealed complete images with the models wearing Victoria Secret apparels. Using QR Codes in academic books can greatly broaden the scope of the topic beyond the printing limits. As one scans the QR Code image in textbooks, journals, etc., it shows an image that provides additional information—colorful diagrams, illustrations, tables, and graphs. One other example of the use of QR Codes in academic books has been initiated by the Government of India. “The educational board NCERTs textbooks will carry QR Codes from 2019 which will provide web links to films or related content”—Prakash Javadekar, Human Resources Minister, Government of India. Curators of museums and art galleries can add QR Codes next to each exhibit (say paintings). When scanned, art enthusiasts can download a high-resolution watermark image of the paintings, instead of taking photographs, which is often restricted. Or they can download other artwork of the artist. Visitors then have the option to share the downloaded images with friends on social media. 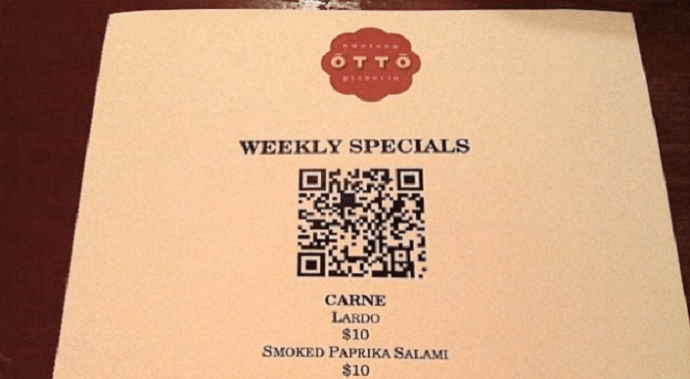 Another possible use case of a QR Code image can be to show images of the dishes on a restaurant menu. This is useful to guests as they’ll be able to view exactly what they’ll order. The loaded image can also have information such as nutrition, allergy information, etc. Unlike text (alphanumeric characters), an image cannot be directly encoded into a QR Code, due to its large data size. The only way is to upload the image on a server and encode the image link into the QR Code. When scanned, the scanning app will load the image from the server and display it. Some professional QR Code generators (such as Scanova) allow you to create QR Codes with image as content—called Image QR Code. All you need to do is upload the image using the service provider dashboard. The image is hosted on the service provider’s secure servers. You can edit it anytime without the need to replace the QR Code. 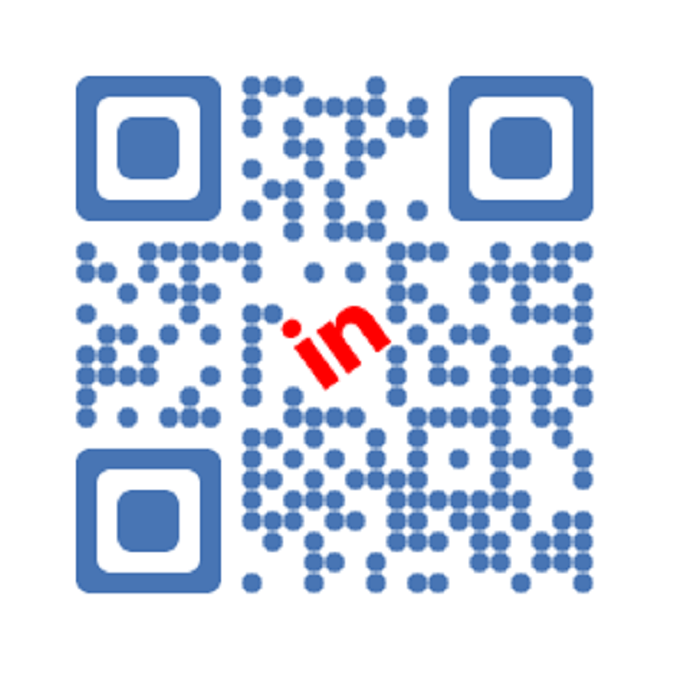 To create an image QR Code now, go to Scanova QR Code Generator. The other option is to host the image of your own servers or third-party application—AWS S3, Google Drive, Dropbox, imgur, etc. Once you upload it, you’ll get a link. Encode this link into a Website URL QR Code using an online QR Code Generator tool. Note that if you need the flexibility of editing the image anytime without replacing the QR Code, ensure that you generate a Dynamic QR Code. 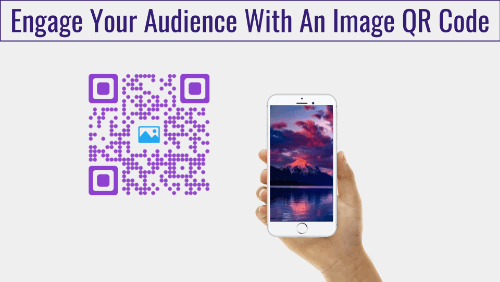 As it is evident, many marketers are already using QR Code images to engage their customers better—either via visually-appealing QR Code design or via engaging QR Code content. Any marketer still using black-and-white QR Codes is missing out on valuable opportunities to attract and engage their customers better.